Each client comes to us with a unique set of needs so we do not want to box them in by only offering "pre-packaged" websites. However, we know potential clients like to be able to get an "idea" of how much a website might cost. Understanding this need we have set up some sample packages for websites. If your needs can be met by these packages you may simply order online and we'll get started on your project right away! However, we strongly recommend that before you place an order for web design services, with us or anyone else, you put your goals in writing. You may also want to write up a Request for Proposal or RFP. 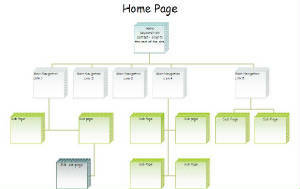 This is a detailed written outline of what you want the website to do for you and how you want it structured. You may also want to read our article: Are You Ready For a Website? To get an idea of how much a website might cost check out our "web design packages". But before you make a final decision we would encourage you to hire us to help you with your strategy and planning. When we do a consultation with you we will help you ask and answer many questions that should be addressed BEFORE you hire a web designer.